This name uses Spanish naming customs: the first or paternal family name is Lezo and the second or maternal family name is Olavarrieta. Admiral Blas de Lezo y Olavarrieta, KOGF, OHS (3 February 1689 – 7 September 1741) was a Spanish officer best remembered for the Battle of Cartagena de Indias (1741) in modern-day Colombia, where Spanish imperial forces under his command resisted and defeated a large British invasion fleet under Admiral Edward Vernon. Throughout his naval career, Lezo sustained many severe wounds; he lost his left eye, left hand, complete mobility of the right arm, caught Typhoid fever and had his left leg amputated in situ after being hit by the projectile of a cannon. Such injuries earned him the nicknames Captain Pegleg and Half-man, both referencing his consequential physical attributes. This has led to Lezo being thought of as a model for the stereotypical peglegged pirate common in modern fantasy novels. Lezo's actions at Cartagena de Indias consolidated his legacy as one of the most heroic figures in the history of Spain and he has thus been promoted as one of the best strategists in naval history. 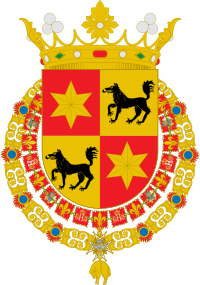 Born in Pasajes (by then still part of San Sebastián), in the Basque Province of Guipúzcoa in Spain, Blas de Lezo y Olavarrieta commenced his naval career in the French navy in 1701 as a midshipman. 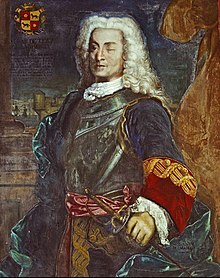 In 1704 he fought in the War of Spanish Succession as a crew member in the Franco-Spanish fleet which fought the combined forces of Great Britain and the Netherlands at the indecisive Battle of Vélez Málaga. At this time, his left leg was hit by cannon-shot and was later amputated under the knee. 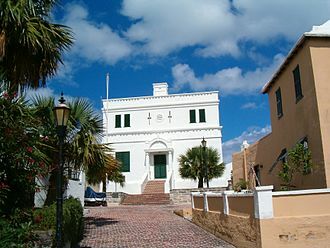 Promoted to ensign, he was present at the relief of Peñíscola, Spain, and Palermo in Sicily; his service in these and other actions resulted in his promotion to ship lieutenant. 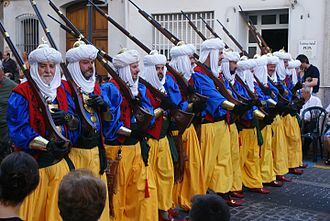 Participating in the 1707 defence of the French naval base of Toulon cost him his left eye. In 1711 he served in the Spanish Navy under the orders of Andrés de Pez. In 1713 he was promoted to captain. 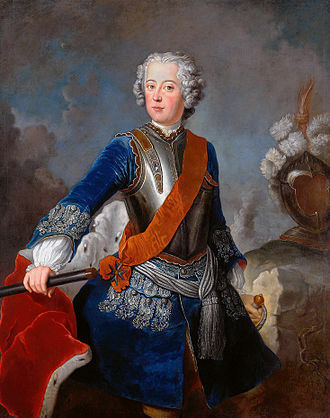 In 1714 he lost use of his right arm in the Siege of Barcelona. Later in this campaign, his ship captured the Stanhope commanded by John Combes, sometimes claimed to be a 70-gun but actually just a 20-gun merchantman. Thus, by age 25 or 27, depending on the sources, de Lezo had lost his left eye, his left leg below the knee, and the use of his right arm. Modern sources often focus on these salient features and refer to Lezo with nicknames such as "Patapalo" (Pegleg) and "Mediohombre" (Half-man). There is no contemporary proof that these (or others) were actually used during Lezo's lifetime. Lezo served in the Pacific in 1720-1728. Although it has been claimed that he took many prizes during this period, documentary evidence indicates that in fact he took only two French frigates and not in the Pacific but in the Atlantic. He reached Callao with them in January 1720 although he had left Spain in 1716 as second-in-command of the Nuestra Señora del Carmen or Lanfranco as part of the expedition commanded by Juan Nicolás de Martinet. He was separated from the expedition while attempting to sail past Cape Horn. 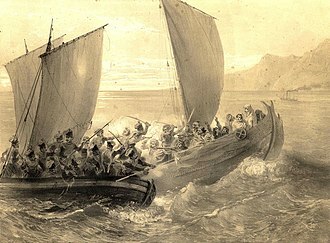 The prizes attributed to Lezo were taken by Martinet, who reached Callao in June 1717 and left the Pacific in 1719 before Lezo's arrival. 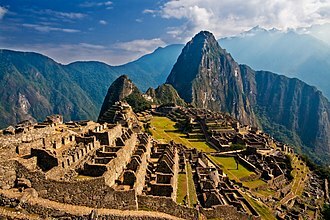 Lezo married in Peru in 1725. 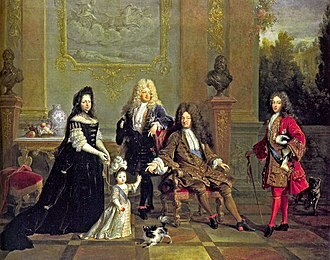 In 1730 he returned to Spain and was promoted to chief of the Mediterranean Fleet; with this force he went to the Republic of Genoa to enforce the payment of two million pesos owed to Spain that had been retained in the Bank of San Jorge. Deeming the honour of the Spanish flag to be at stake, Blas de Lezo threatened the city with bombardment. 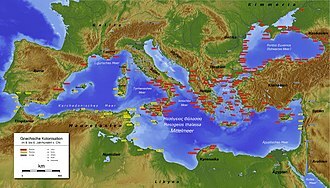 In 1732, on board the Santiago, he and José Carrillo de Albornoz commanded the enormous expedition to Oran and Mers-el-Kébir with more than 300 ships and around 28,000 troops, comprising infantry, cavalry and artillery. 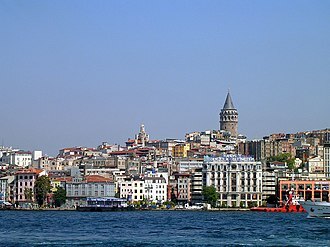 In the Battle of Aïn-el-Turk they recaptured the cities lost to the Ottoman Empire in 1708. 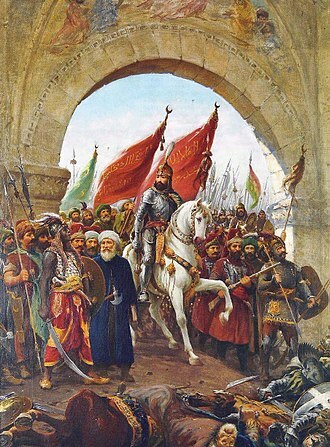 After the defeat, Bey Abu l-Hasan Ali I managed to reunite his troops and surrounded the city of Oran. 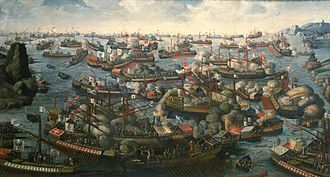 Lezo returned to its aid with six ships and 5,000 men and managed to drive off the Algerian pirate after a hard fight. 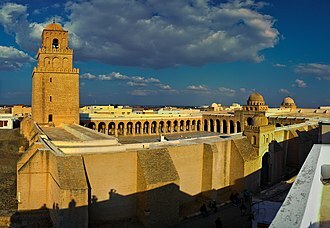 Dissatisfied with this he took his 60-gun flagship into the corsair's refuge of Mostaganem Bay, a bastion defended by two forts and 4,000 Moors. He inflicted heavy damage on the forts and town. 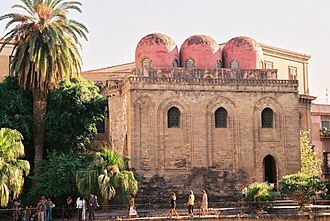 In the following months he established a naval blockade, preventing the Algerians from receiving reinforcements from Istanbul, thereby gaining valuable time for the securing of Oran's defense, until an epidemic forced him to return to Cadiz. In 1734 the king promoted him to Lieutenant General of the Navy. 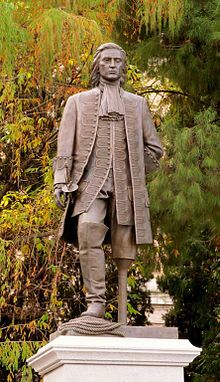 He returned to South America with the ships Fuerte and Conquistador in 1737 as General Commander of the Spanish fleet stationed at Cartagena de Indias, in modern-day Colombia. 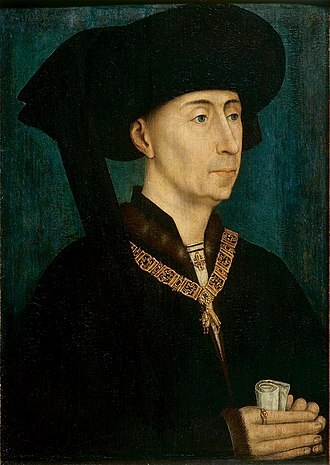 He took up his new post just prior to the conflict between Great Britain and Spain that would become known as the War of Jenkins' Ear and that would later be subsumed into the War of Austrian Succession. 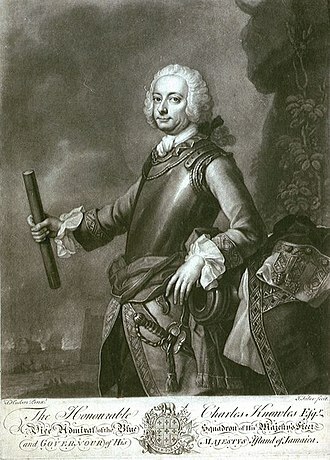 In the early stages of the conflict, the British Admiral Edward Vernon undertook attacks on various Spanish outposts in America. 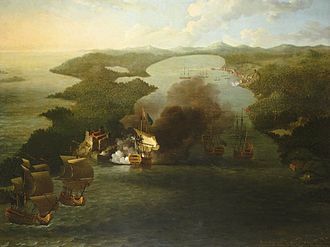 One early victory involved the capture of Portobelo (Panama), the dismantling of its fortifications and the withdrawal of British forces having left the place defenceless. Admiral Vernon tested Cartagena de Indias on three separate occasions. 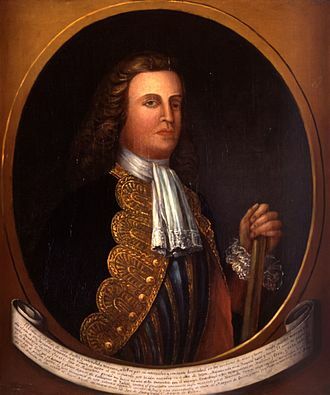 Both Vernon and Edward Trelawny, British governor of Jamaica, considered the Spanish gold shipping port to be a prime objective. The first attempt, in March 1740, was essentially a reconnaissance in force by a squadron including ships of the line, two fire ships, three bomb vessels, and transport ships. 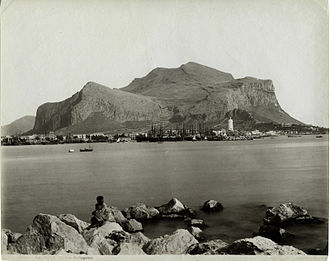 Vernon's intention was to gather information on topography and troop strength and to provoke a response that might give him a better idea of the defensive capabilities of the Spanish. 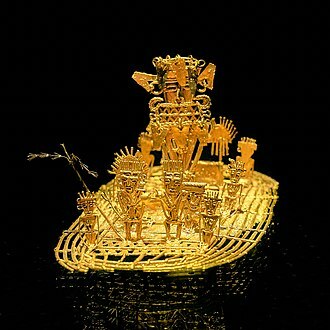 In May, Vernon returned to Cartagena de Indias in charge of 13 warships, with the intention of probing the city's defences. 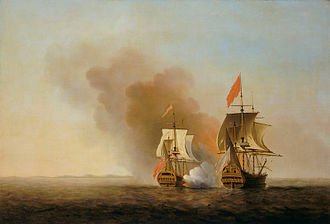 The actual attack on Cartagena de Indias took place on March 13-May 20, 1741. The British concentrated a fleet consisting of 196 ships, including 2,620 artillery pieces and more. There were 10,000 soldiers, 12,600 sailors, 1,000 Jamaican slaves and 4000 recruits from Virginia. 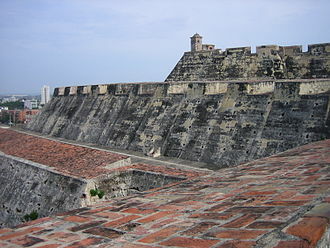 The defences of Cartagena de Indias comprised between 3,000 and 6,000 combatants, including regular troops, militia, Indian archers and the crews of six Spanish warships. Blas de Lezo's advantages consisted of a formidable primary fortress and numerous secondary fortifications. 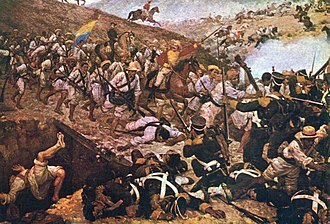 On the evening of April 19, the British mounted an assault in force upon San Felipe. 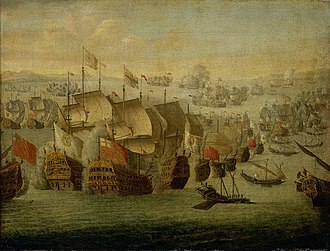 Three columns of grenadiers supported by Jamaicans and several British companies moved under cover of darkness, with the aid of an intense naval bombardment. The British fought their way to the base of the fort's ramparts but were unable to overcome the defence and withdrew. 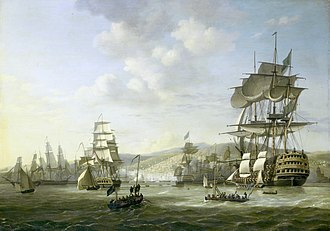 After comprehensively destroying the forts in their possession, the British began an orderly withdrawal back to Jamaica. 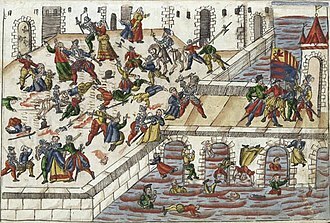 Lezo died four months after the siege was raised and a contemporary source indicates that the cause of death was epidemic typhus: "unas calenturas, que en breves días se le declaró tabardillo". The site of his grave is unknown. Blas de Lezo was blamed[by whom?] 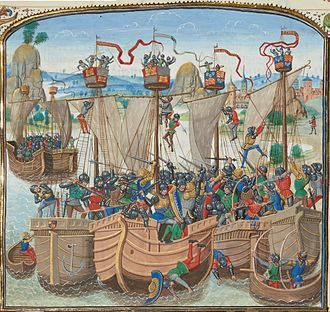 for not having used his naval forces to full effect and for having sunk his own ships to no gain and at an immense cost to the Crown. 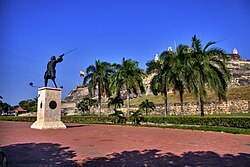 He was later honoured for his part in the siege of Cartagena de Indias as a square and an avenue in the city of Cartagena are named after him. A modern statue stands in front of the Castillo San Felipe de Barajas. 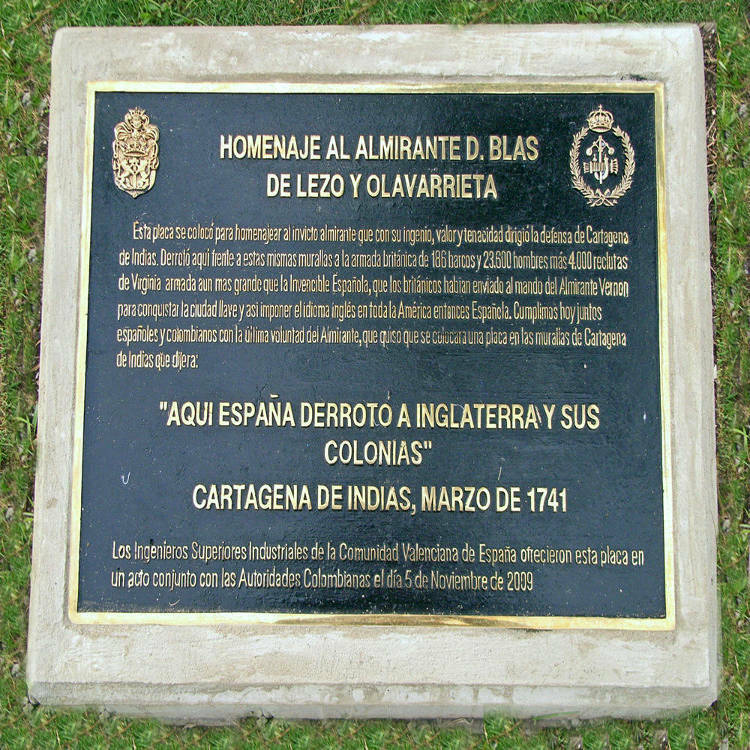 In 2011, during a conference on Blas de Lezo's place in history and honouring the 270th anniversary of Cartagena de Indias' defence, a plaque was placed on the wall at the Plaza de los Coches, by the Clock Tower portal. And in November 2014, a 35,000 kilo statue of Lezo was erected in Madrid's Plaza Colón. An Elcano-class cruiser, named General Lezo, built in 1884. A Blas de Lezo-class cruiser built in 1924, sunk in a shipwreck in 1932. The former USS Noa (DD-841) a Gearing-class destroyer – 1978 to 1991. An Álvaro de Bazán-class frigate, F103 was built at the Spanish Izar shipyard and launched in May 2003. 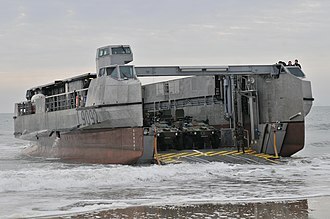 She was commissioned in December 2004 and has a displacement of 5,800 tonnes. During the Neptune Warrior exercises off Scotland in September 2007 she suffered damage after a "slight grounding". After the incident, her Captain, Federico Supervielle, was relieved of his command. ARC Blas de Lezo (BT-62), acquired: 26 November 1947, Struck: January 1965. This ship was the former USS Kalamazoo (AOG-30), a Mettawee-class gasoline tanker. In 2013 the Naval Museum of Madrid organised an exhibition on Blas de Lezo, including portraits, uniforms and layouts of battle plans. Francisco Hernando Muñoz Atuesta (2015), Diarios de Ofensa y Defensa. Ataque inglés sobre Cartagena de Indias" (Diaries of Offense and Defense. 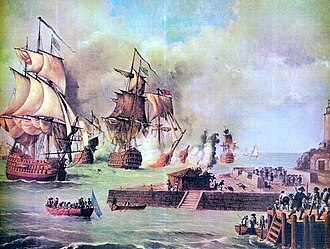 English attack on Cartagena de Indias). Ediciones Genealogía e Historia. Bogotá. Colombia. Carlos Alonso Mendizábal (2008), Blas de Lezo, el malquerido ("Blas de Lezo, the unloved one"), Dossoles, Burgos. Ramiro Ribas Narváez (2009), La conjura de la mentira. Derrota de Inglaterra en Cartagena de Indias ("Conspiracy of lies: the defeat of England at Cartagena de Indias"), Akrón. Alber Vázquez (2010), Mediohombre. La batalla que Inglaterra ocultó al mundo ("Half-man: the battle that England hid from the world"), Inédita Editores. Felipe Blasco Patiño (2010), El hombre sin rey. ¿Pudo un solo hombre cambiar el destino de América? El desastre de la Armada Invencible inglesa ("The man without a king: could one man change the fate of America? 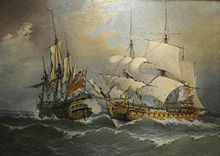 The 'invincible' English fleet meets disaster"), Bohodón Ediciones, Madrid. Santiago Iglesias de Paúl (2011), El marino que cazaba lagartos... y que luchó junto a Blas de Lezo ("The sailor who hunted lizards... and fought alongside Blas de Lezo"), JM Ediciones. Orlando Name Bayona (2012), Blas de Lezo. El almirante patapalo. ¡Anka Motz! 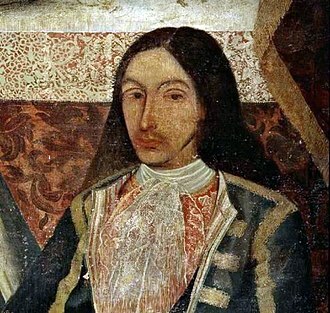 ("Blas de Lezo: the pegleg admiral"), Oveja negra. Juan Antonio Pérez-Foncea (2012), El héroe del Caribe. 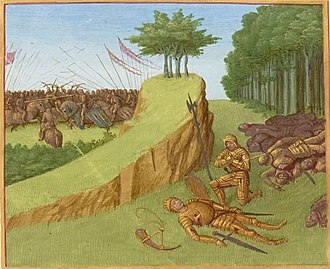 La última batalla de Blas de Lezo ("The Caribbean hero: Blas de Lezo's last battle"), Libroslibres. José Vicente Pascual (2013), Almirante en tierra firme. La aventura de Blas de Lezo, el español que derrotó a Inglaterra ("Admiral on dry land: the adventures of Blas de Lezo, the Spaniard who defeated England"), Áltera, Madrid. Francisco Javier Romero Valentín (2013), El paisano de Jamaica ("The Jamaican compatriot"), Amazon Media. David López (2013), El aventurero Vivar ("Vivar the adventurer"), Rocaeditorial. Víctor San Juan (2014), Morirás por Cartagena ("You shall die for Cartagena"), Punto de Vista Editores. Rafael Vidal & José Pablo García (2014), Blas de Lezo. El marino invicto ("Blas de Lezo: the undefeated sailor"). Pablo Victoria (2014), Los amores prohibidos de Cecilita Caxiao. La extraña historia de cómo se salvó el diario de guerra de Blas de Lezo ("The forbidden loves of Cecilita Caxiao: the strange story of how Blas de Lezo's war diary was saved"), Amazon Media. Fernando de Artacho (2015), El almirante Mediohombre ("Admiral Half-man"), Algaida, Sevilla. 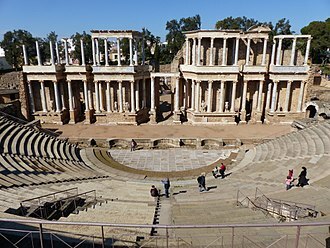 ^ "Pérez-Piqueras, Antonio: Blas de Lezo, sus cirujanos y el nacimiento de la cirugía española moderna (2015)" (PDF). Complutense University of Madrid. ^ Henao, Jesús María; Arrubla, Gerardo. 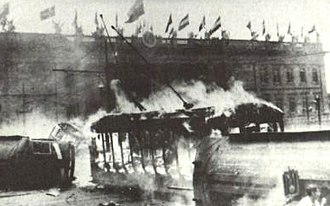 Historia de Colombia para la Enseñanza Secundaria (Bogotá, 1920) "...el famoso General de los galeones don Blas de Lezo, marino vascongado, quien en combates anteriores, en Málaga, Tolón y Barcelona había perdido la pierna izquierda, el ojo izquierdo y el brazo derecho a la edad de 25 años; este medio hombre contribuyó poderosamente al triunfo que obtuvieron las armas castellanas." ^ "Lezo, el héroe español mas valiente de la historia". Intereconomía. ^ Larrie D. Ferreiro, Measure of the Earth: The Enlightenment Expedition That Reshaped Our World, (Basic Books, 2011), 191. ^ Fernández de Navarrete, Francisco (1848). Colección de opúsculos, volume 1. 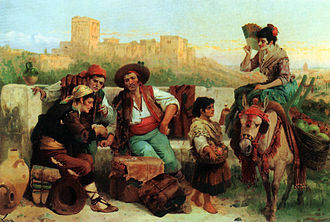 Imprenta de la viuda de Calero. p. 261. ^ Beltrán, Mariela; Aguado, Carolina (18 November 2014). "Blas de Lezo, una revisión histórica". Blogs ABC. Retrieved 28 March 2016. ^ Ruiz Mantilla, Jesús (10 August 2013). 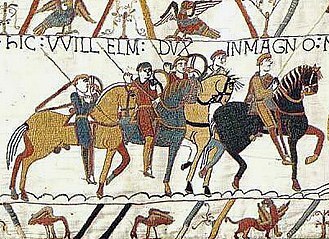 "Cojo, tuerto y manco contra los ingleses". El País. Retrieved 28 March 2016. ^ Villatoro, Manuel (25 July 2014). 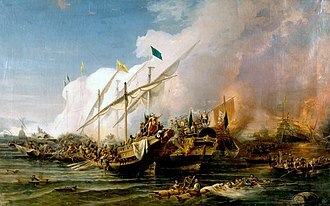 "Blas de Lezo: el almirante español cojo, manco y tuerto que venció a Inglaterra". ABC. Retrieved 28 March 2016. ^ "Blas de Lezo, una revisión histórica | Espejo de navegantes". Abcblogs.abc.es. 2014-11-18. Retrieved 2016-05-06. 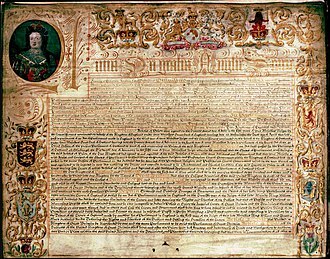 ^ Letter from Rodrigo Torres to Zenón de Somodevilla, Marqués de la Ensenada, 28 October 1741. ^ "Blas de Lezo "aterriza" en la plaza de Colón de Madrid". ABC.es. 2014-11-12. Retrieved 2016-05-06. ^ "Destituido el comandante de una fragata que tocó fondo | Edición impresa | EL PAÍS". Elpais.com. 2007-10-06. Retrieved 2016-05-06. ^ "相続放棄の問題は弁護士にお任せ！｜期限内にパパっとスピード解決". Blasdelezoexposicion.com. Retrieved 2016-05-06. Hartmann, Cyril Hughes (1953), The Angry Admiral. The Later Career of Edward Vernon, Admiral of the White, William Heinemann Ltd, London. Ranft, B. McL. (1958), The Vernon Papers, The Navy Records Society, London. Wikimedia Commons has media related to Blas de Lezo.